THE country’s largest private credit reporting agency, CTOS, has been in operation for over 26 years, but several misconceptions still remain about its role. While it is known that the agency helps credit grantors like banks and financial institutions make better, and more informed decisions, it is a lesser known fact that it also enables consumers to take charge of their own credit ratings. Operating under the ambit of the Credit Reporting Agencies (CRA) Act 2010, CTOS facilitates credit extensions by empowering individuals as well as businesses with better access to crucial credit information. In essence, it aims to provide a form of “transparency” between consumers and lenders to improve access to credit. Martin: Understanding one’s credit standing is important for every Malaysian. While lenders gain access to information about their potential clients, individuals seeking credit are also able to use CTOS’ services to better manage their credit profiles and keep them up to date. The agency desires to shift the country’s financing landscape to one that is more consumer-centric, whereby individuals are empowered to manage their own creditworthiness and be rewarded with faster access to credit and at lower borrowing cost. 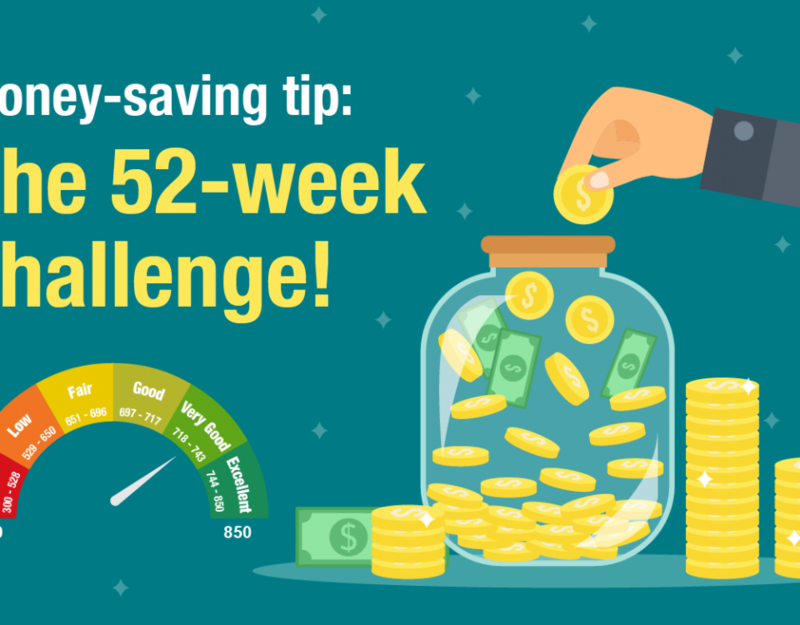 Through education and awareness programmes, it aims to help consumers make smarter financial decisions by understanding their credit scores and knowing how to utilise them to achieve their goals. By providing this service, the agency is also preventing Malaysians from falling into the trap of taking up more loans than they can handle, leading to insolvency. According to the statistics from the Insolvency Department, one in four bankruptcy cases in the country between 2011 to 2015 was caused by the inability to service loans taken for the purchase of vehicles. Other top reasons for bankruptcy among Malaysians are housing loans, followed by personal and business loans. In 2016, Malaysian courts declared 82,383 individuals as bankrupt. Household debt in Malaysia also remains relatively high, at 88.4% of the country’s GDP. “At a time when Malaysians are faced with the rising cost of living and stagnant salaries, the role of agencies such as CTOS becomes increasingly crucial. 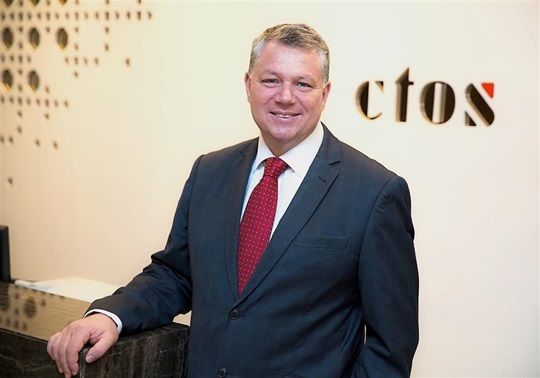 “The public largely remains unaware about its role, as well as what individuals can do in order to ensure their credit information is accurate and up-to-date,” said CTOS Group CEO Dennis Martin. As a credit reporting agency, CTOS’ core function is to collect and process credit information of individuals’ and businesses’ borrowings and repayments, and provide this information to credit grantors. As the country’s main private credit reporting agency and among the pioneers in the industry, CTOS maintains one of the most comprehensive databases of credit information of over 10 million individuals and two million companies in Malaysia. Basically, whenever an individual applies for a loan, credit card or even an insurance scheme, he or she is creating credit history. Based on the individual’s repayment behaviour and other factors, credit reporting agencies, such as CTOS, gather from its users, as well as from the public domain and offer the information as a service to credit grantors. 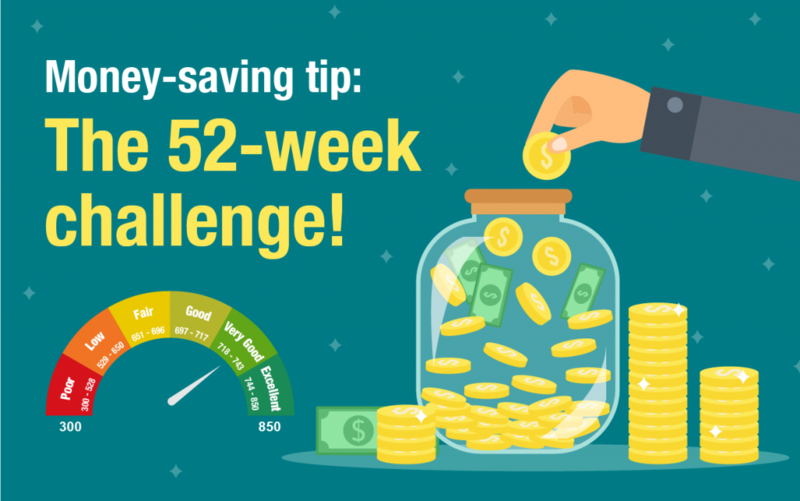 Be in the know: Individuals and businesses should determine the financial status of prospective customers, partners or suppliers before committing to important financial decisions. Credit grantors, such as banks, will then utilise this information to make decisions about whether to provide credit such as loans or credit cards to the individual. In Malaysia, CTOS’ services are widely used by banking and financial institutions, insurance companies, large corporations, legal firms, businesses and state bodies. CTOS has three main customer segments, which are the banking and financial institutions, small and medium enterprises (SMEs) as well as consumers. Banking and financial institutions use data from CTOS to evaluate credit applications, account openings and portfolio reviews, while SMEs use the data to evaluate and monitor their trade counterparts. Consumers, meanwhile, can use the MyCTOS Score report to access and take charge of their credit profiles. 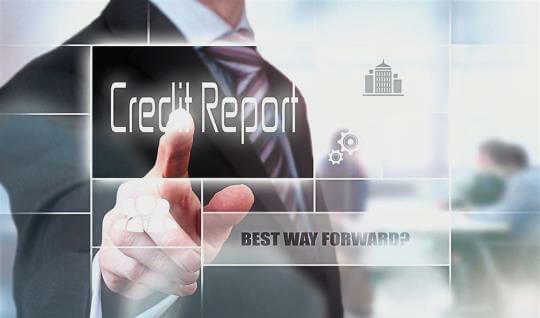 A credit report is essentially a record of an individual’s borrowings and repayments. The information on a credit report typically includes your personal information such as your name, address, date of birth, and employment information. It states your credit information such as your credit card accounts, mortgages and car loans, and may also include the terms of your credit – how much you owe your creditors, and your history of making payments. Your public record also appears on your credit report – this may include information about any court judgments against the individual, or whether the person has previously filed for bankruptcy. Having access to such information not only empowers businesses to make more informed decisions, it also allows individuals to ensure that they have access to the best financing terms. “Understanding your credit standing is important for every Malaysian. “An individual with a healthy credit profile has the advantage of negotiating better interest rates with the credit provider and is more likely to gain approvals much faster compared to a person with a weak credit profile. “Among the common misconceptions about CTOS is that they blacklist individuals with poor credit records,” said Martin. In reality, CTOS does not blacklist anyone. The agency merely provides credit information to its subscribers, after which, decisions on credit applications are made exclusively by the lenders or credit grantors themselves. These decisions are made in accordance to the lender’s risk appetite, business policies and strategies. Another issue is the handling of personal data by a private agency, which can be sensitive and also dangerous, especially if the information falls into the wrong hands. CTOS, as a registered agency under the CRA Act 2010, is legally empowered to collect and process information pertinent to credit evaluation. Access to this information, however, is strictly limited and controlled. 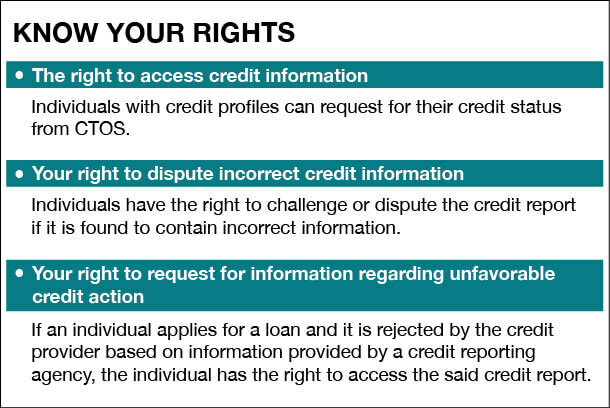 It is your right to have access to your credit information or credit report. The CRA Act 2010 empowers consumers with the right to access, dispute and even request further information about their credit profiles, and this can be used to their advantage. CTOS says its goal is to not only provide lenders with crucial information, but also to encourage the public to take ownership and understand their credit scores. By providing individuals with access to their credit information, the agency hopes to help individuals manage their personal finances and make sound credit decisions. While the agency regularly updates its database based on the available information from statutory bodies, its subscribers and public sources such as government gazettes, newspapers and court filings, it also accepts requests to update its information, given that there is sufficient proof and the necessary documentation. By updating your credit information, you have the power to ensure that CTOS is able to provide the most accurate and up-to-date information to the banks or financial institution that you are seeking credit from. Individuals, however, cannot choose to completely remove their information from the CTOS database.